Here comes the next installment in a series of mini interviews that I shall be doing with collectors, photographers, writers and general people of interest in the photography world. This one is a little bit special to me because it is about the creator of a very valuable web resource for camera collectors. Anthony Hands is the man responsible for the Rokkorfiles website. If you have not heard of this site then shame on you, as it is everything Minolta, chock full of reviews and information about the Minolta system of cameras. 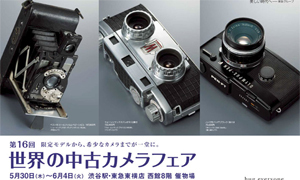 Even if you are not a user it is a great site to browse and learn a bit about Japanese cameras. My personal favourite section is the camera advertising, it is so cool to see all of these classic adverts in one place. 1. So, please tell us about yourself, who are you? 2. You run one of the great camera resource sites on the net Rokkorfiles.com, what made you start this site? When I started getting interested in Minolta cameras and lenses I searched the net looking for places to get more information. 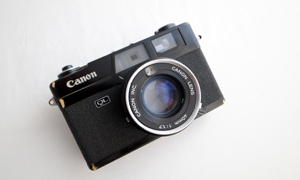 There were several sites that listed the various manual focus cameras and lenses made by Minolta, however there were no sites that gave a real personal insight into the cameras and lenses, and showed what they could do. 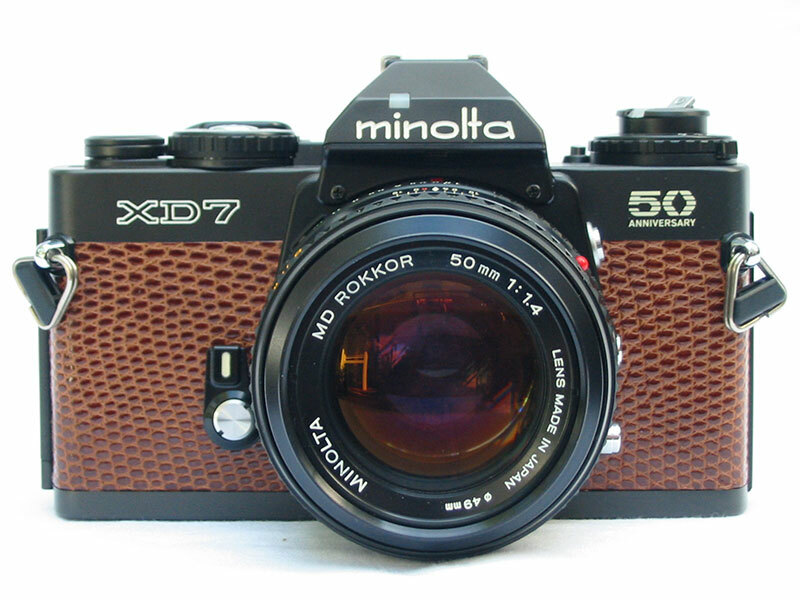 I decided that I would create a site that does just that, and would be of interest to Minolta manual focus users and enthusiasts. 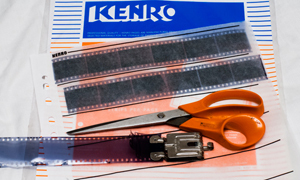 The Rokkorfiles was created, and gradually became one of the most popular sites on the web for Minolta manual focus enthusiasts. Unfortunately, over the past 10 years most of the other online resources for Minolta manual focus enthusiasts have disappeared as people have lost interest in maintaining or retaining their sites. While the Rokkorfiles is no longer regularly updated (due to a lack of time) it will continue to remain on the web and hopefully I will eventually be able to continue to add to the site. In 2002 I was going to be travelling on a long holiday, and decided I wanted a new camera. 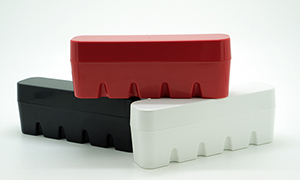 I went to purchase a new autofocus body, only to find out that to my horror that the cameras in my price range had plastic lens mounts! I realised that the Minolta X-700 I had was a much better quality camera, and instead of buying a new camera I got it serviced. At the same time I realised that all of those previously unattainable Minolta prime lenses were now relatively inexpensive on ebay. I purchased my first Minolta primes, and the rest is history. 4. What got you interested in photography? I’m sure that I should say that the desire to create images got me started, but in reality like most gear heads it was the opportunity to own and use a finely crafted piece of machinery. I loved my camera, and loved using it, and along the way I discovered that I had a talent for photography. 5. What defines a great camera for you? A great camera is one that helps a photographer achieve his/her goal. 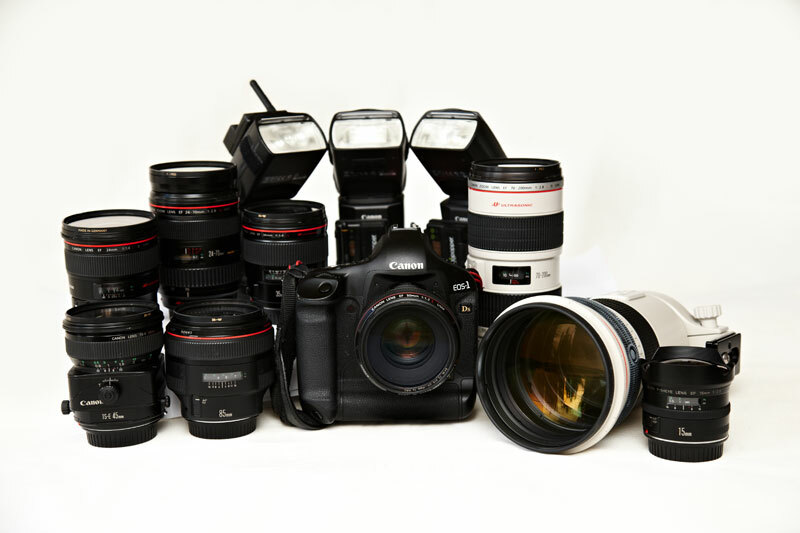 When I’m shooting professionally, my Canon 1Ds Mark III’s are great cameras, as they capture my vision, are extremely robust, and have all of the features that I need from a professional body together with incredible image quality. However for my personal photography, they are not great, because they don’t give me the pleasure I get from using my older cameras. When shooting for myself, it’s as much or more about the enjoyment of the process as the final images, and so a great camera for my personal photography is one that I get pleasure from using. 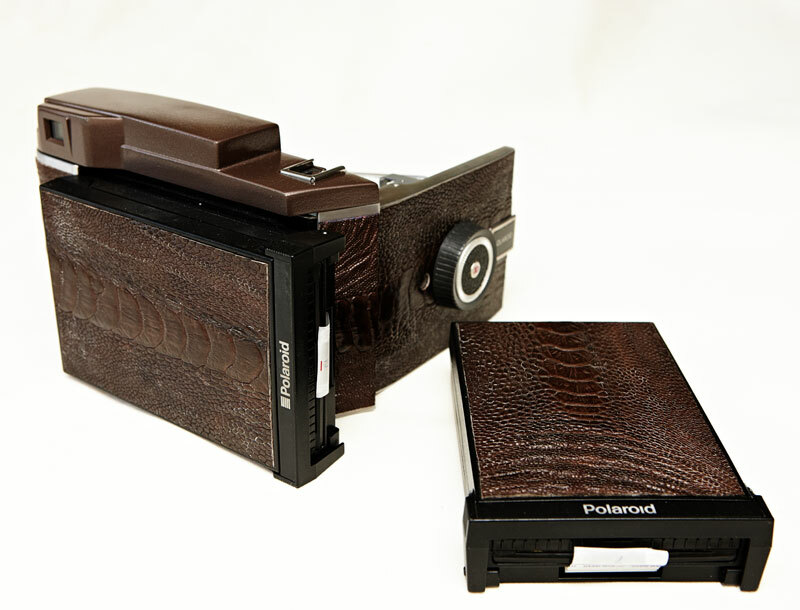 My current favourite is a Polaroid 110A that has been restored and converted to take polaroid pack film. I love shooting polaroid because I get the immediate thrill that you get from shooting digital, but in a uniquely analogue way. The other cameras I am using at the moment are a Holga, a Minolta Autocord, a Polaroid SX-70 and for 35mm a pair of Minolta 7sII’s. 6. It’s all about the shooting at the end of the day, so what do you like to shoot? I actually love wedding photography, and so I really enjoy my job, but when I am shooting for myself I prefer industrial landscapes and geometric shapes. I photograph enough people in my day job, so my personal work tends to be devoid of people. Thanks to Antony for sharing his life and his passion with Japancamerahunter, it is great to have you on my site. I hope that Rokkorfiles stays around for a while yet, even if it it not updated (though I am sure there are plenty of people who would love to do it). 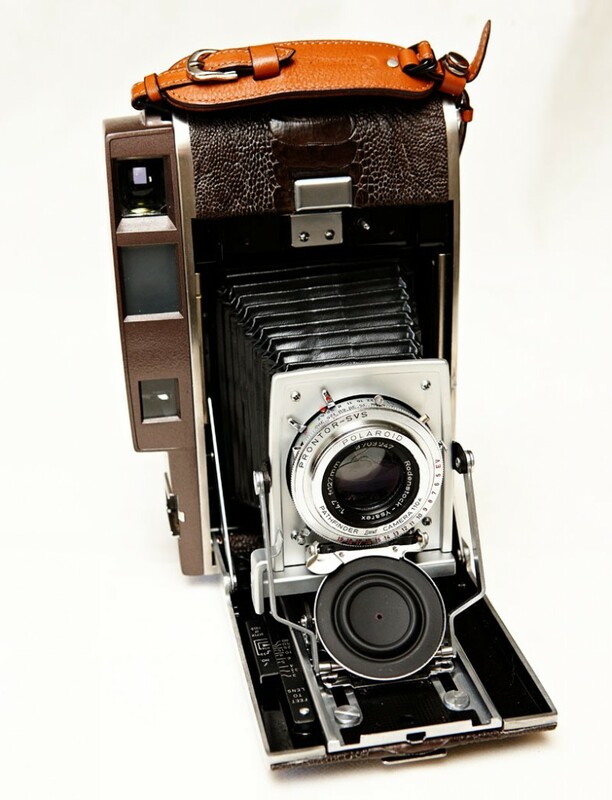 Are you a collector and/or camera lover? Perhaps you would like to have your collection featured on this site? Then drop me a line and we can make it happen. Just click here and magic will happen. As I was traveling for the rest of January, I just noticed this piece on the blog. Being one of the people requesting this interview, I am thrilled it happened! Antony, if you read this comment, I want you to know that your page is mostly to blame for my serious Minolta addiction! :) I have four working XD bodies at home (one silver XD7, two black XD7 and a black XDs) as well as an X700 and a srT101. My first rangefinder was a black Minolta Hi-matic 7SII and thanks to Bellamy, I now also own and use a Minolta CLE. The biggest gain I get from falling victim to a manual focus Minolta addiction is that my photography in general became much better as of the result from getting into the technical and physical details of the process. After using manual focus gear, I knew what I was doing and how it affected the outcome. Brilliant to read more background from Anthony Hands. 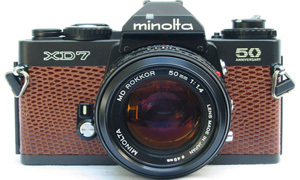 Rokkorfiles is THE Minolta reference and like many other Minolta enthusiasts I have used and GLADLY paid a small [voluntary] fee every now and then. I have a collection of over 500 Minolta items, from rare to plain silly ! I had not touched a still camera for near on 20 years but bought by “accident” on e-bay a Minolta 16mm camara [because it was made in the year I was born] and was amazed that the manual technology was still working as good as new. My collection starts around 1940’s and finishes with the last [Konica] Minolta DSLRs the 7D and 5D… which eventually led me to a Sony Full frame A850 which I use many of my Alpha mount and SR MC MD lenses on. I believe I have the largest most significant Minolta collection in the UK ? MY plan now I am forced into early retirement.. is to USE each and every format to take images, and publish a book, not a unique idea you say, but I intend my photographs tp pertain to the year on each cameras original manufacture. If a camera was introduced in 1960… then persons born then, building or engineering events of that year, invention, happening… etc. etc… Maybe a pipe dream… but Rokkorfiles inspired me !